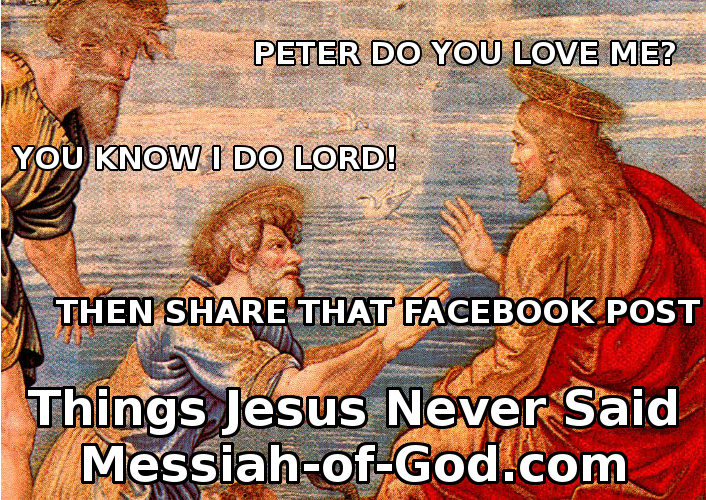 Things Jesus Never Said: Peter Do You Love Me? You Know I do Lord! Then share that Facebook post! Well now, maybe sharing Jesus on Facebook isn't such a bad thing. Share the humor with your friends!